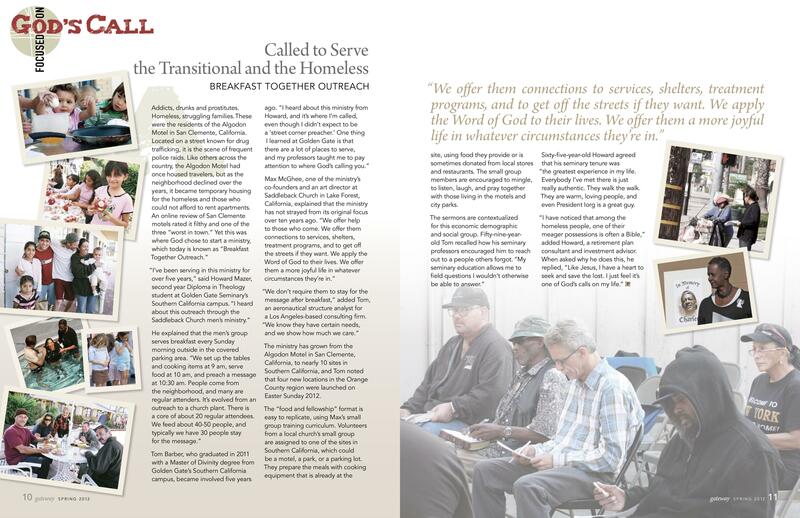 Phyllis was charged with transforming this bi-annual publication into an anticipated magazine that would be read cover-to-cover. 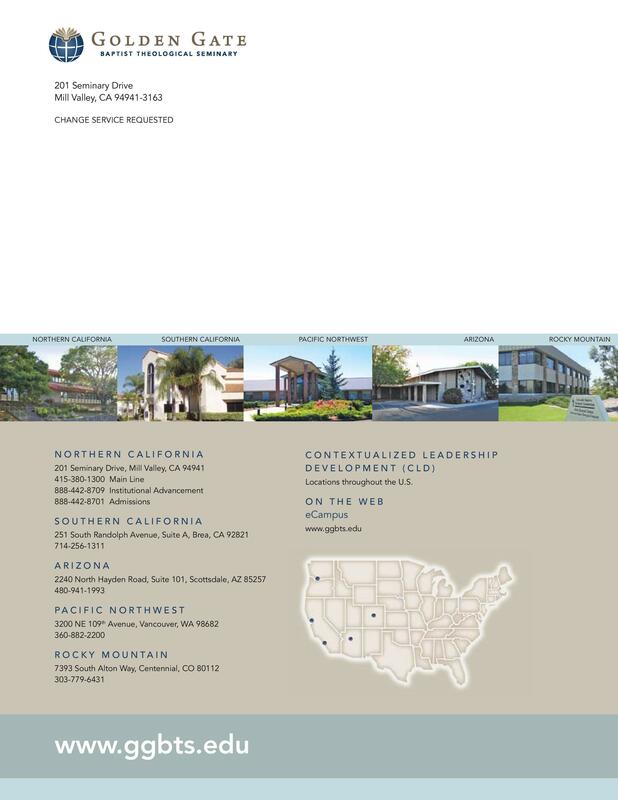 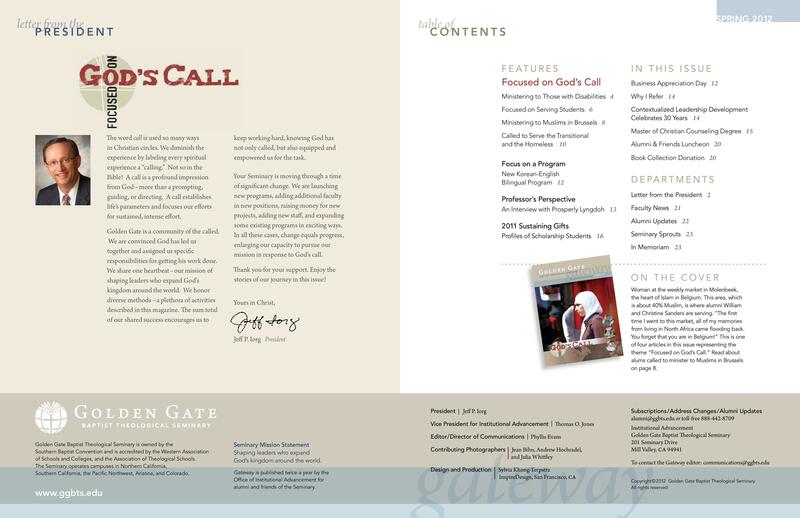 Working with San Francisco-based design firm InspireDesign, we revamped Golden Gate Seminary’s alumni and friends periodical both graphically and editorially. 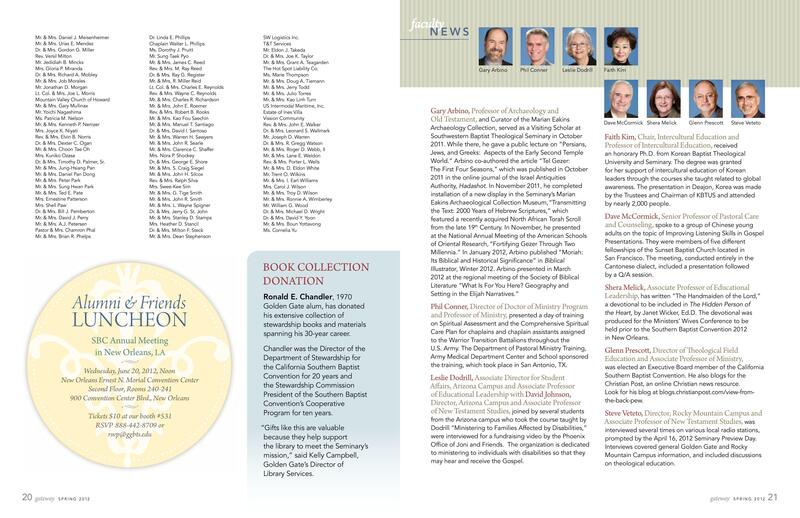 Phyllis wrote the majority of the articles and provided many photos for 12 issues, as well as supervising freelance writers and photographers. 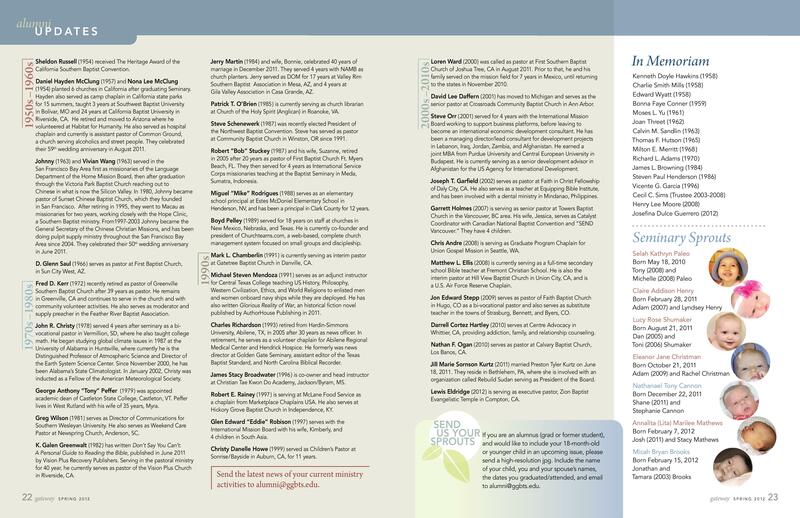 Several issues and individual articles won awards, while keeping readers informed and generating donations. 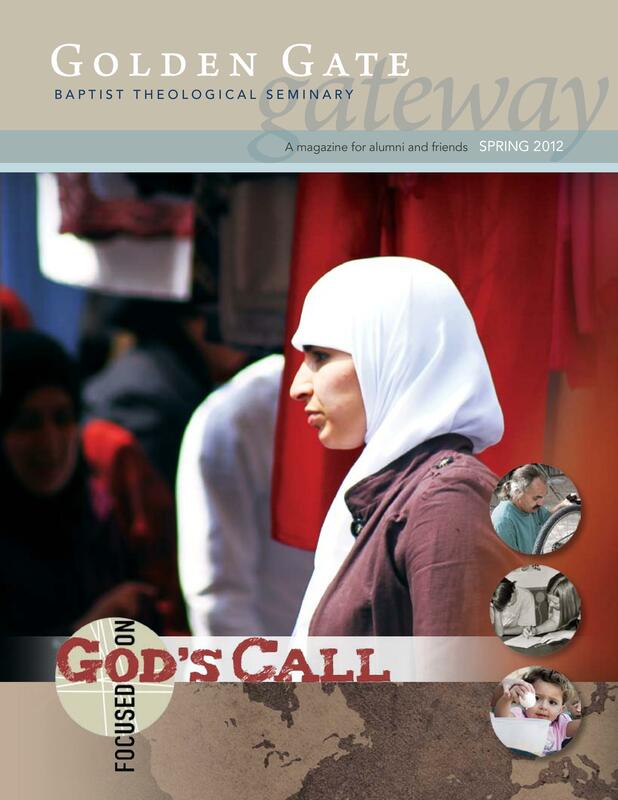 Each issue was centered around a theme, which included several feature articles based on that theme. 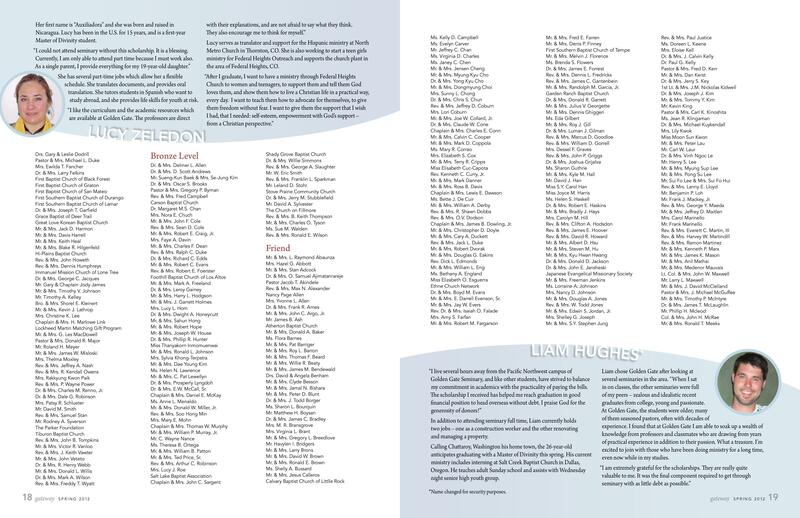 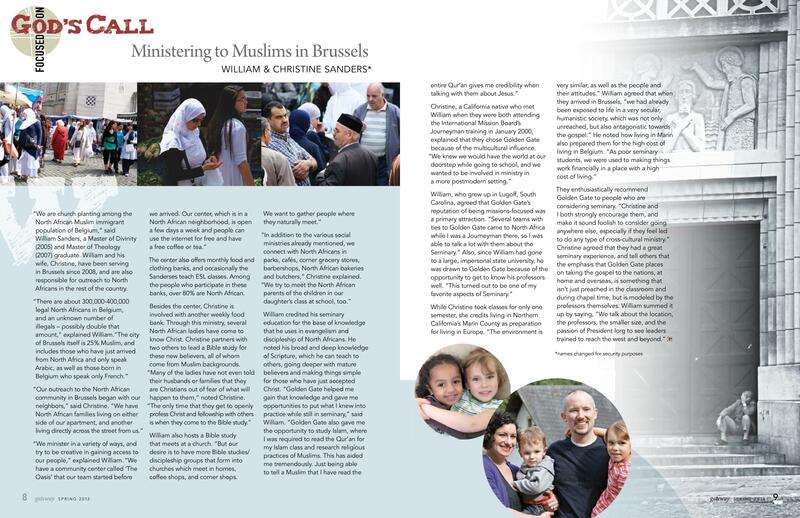 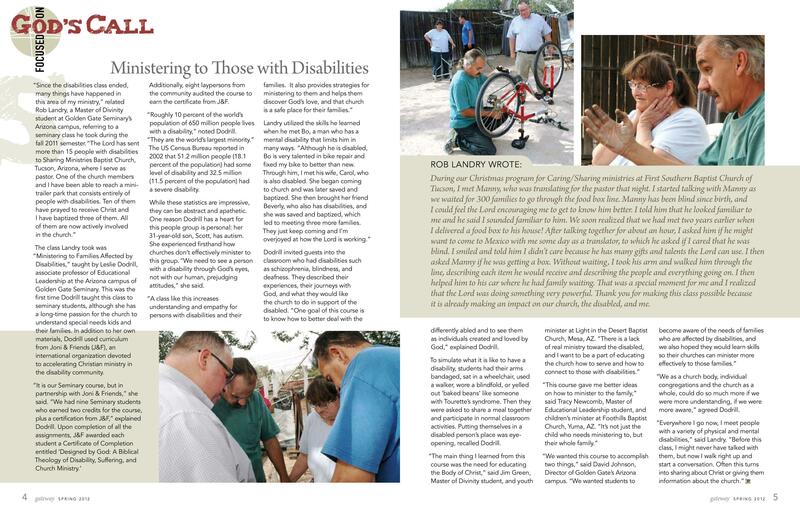 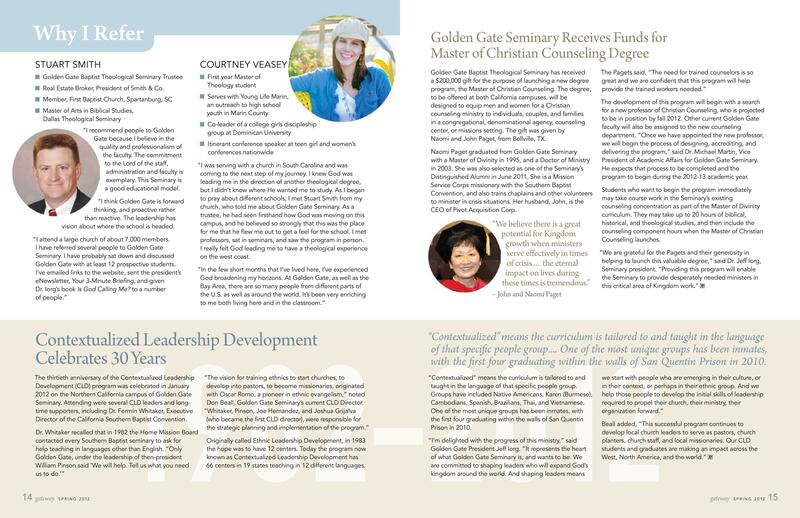 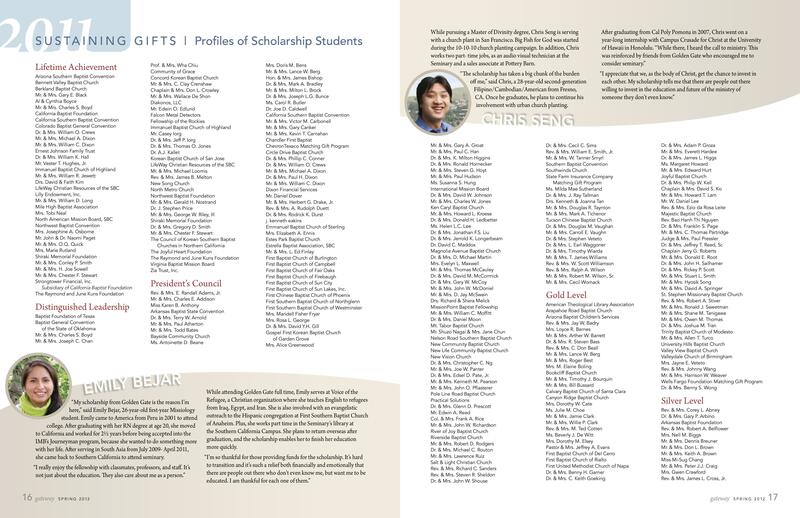 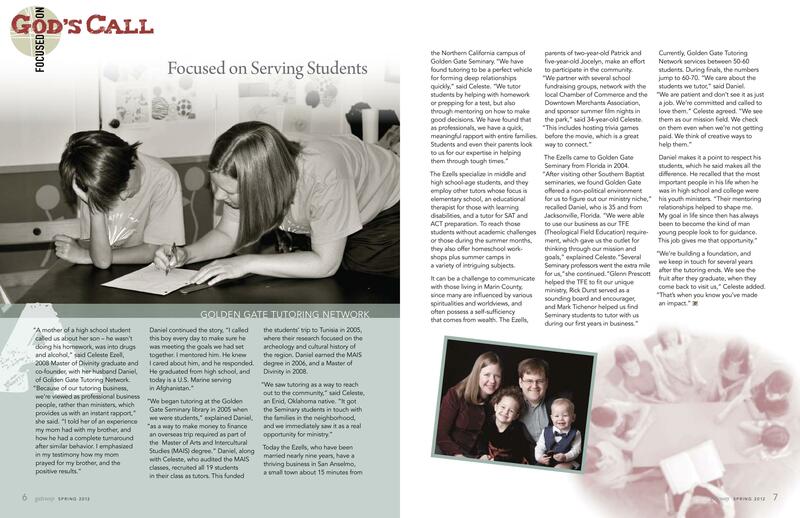 Spring 2012 was “Focused on God’s Call” and featured four profiles of the ministries of Golden Gate graduates.